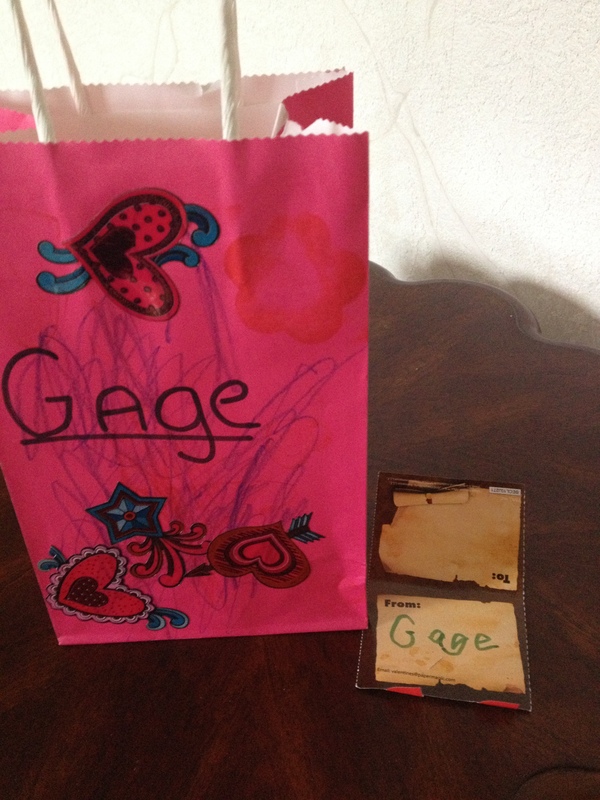 This year I was happy to find Shrek Valentine cards, he’s one of Gage’s favorites. He practiced writing his name on them – with lots of help. 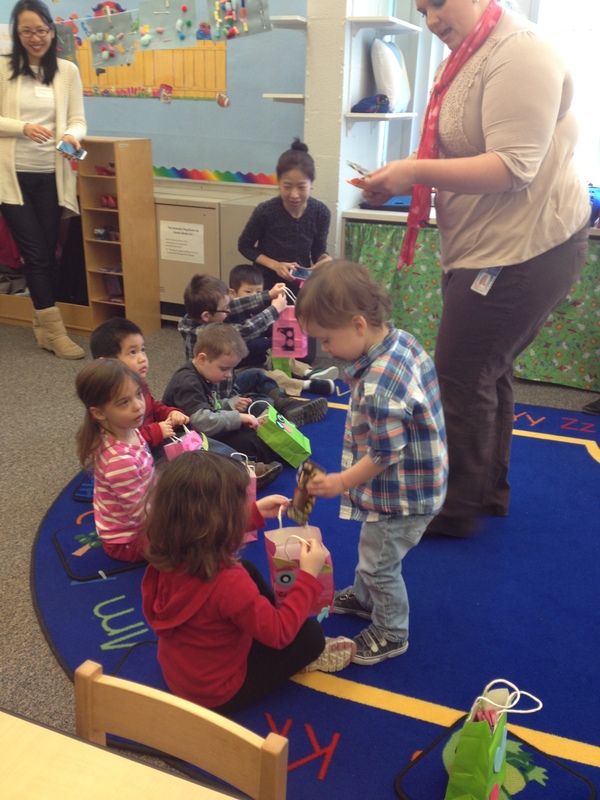 I was invited to his class party where we decorated bags to collect cards and had snacks. Doesn’t he look so grown up passing out his cards? After school and lunch with Grandma where we went through his bag, we went to the community center and passed out more Valentine’s Day cards. I have no pictures of this because I was too busy encouraging and enjoying the fun. 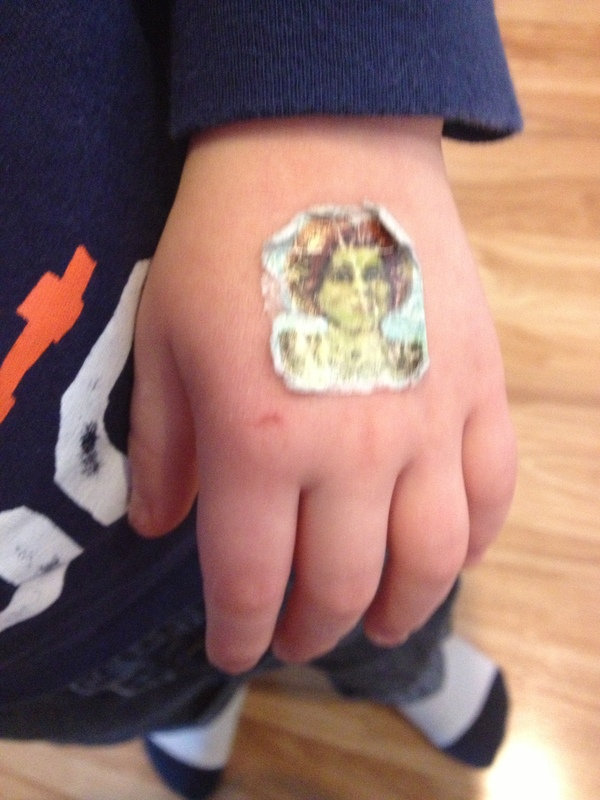 We had extra stickers and on Thursday Gage let me put Fiona on his hand. As of this morning she was still there. Must be true love. We had lots of fun this year and he loved redecorating his Valentine’s with the stickers he received from his teacher. I hope you all had a day with as much fun! So fun and so cute!! And so neat that you could join the party. 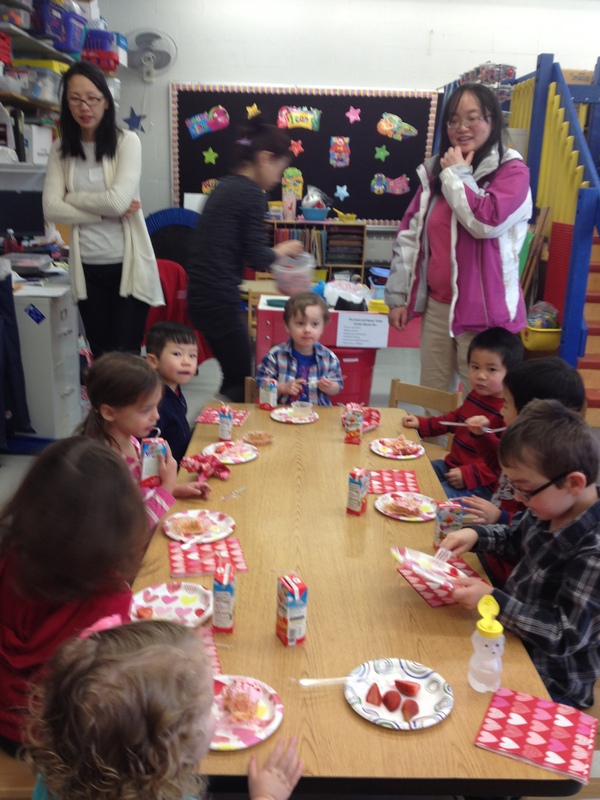 The part parents are invited to at Elle’s school is the lunch and we basically just hang around while the kids eat. LOL! Happy Valentine’s! That is precious. I fondly remember my kids doing their Valentines, and trying to decide WHO got the extra special big ones that are part of the box. He’s got good taste – Shrek is awesome! Valentine’s Day at that age is so much fun! So glad he had a great day! Our day was awesome as we found out we are going to have a grandson in June! holiday’s are so fun with kids. aww that’s too cute, looks like everyone had so much fun! I’m glad you had such a great day! Thanks for sharing your photos. Everyone looks so great! What a great day! Valentine’s Day with young children is so much fun. I am so glad you were able to go to his Valentine’s Day party, Stacy. 🙂 I missed Mouse’s unfortunately, but she sure came home with a bag full of goodies.